For the last several months, iPhone 6, 6s, 6 Plus, and 6s Plus users have been dealing with a problem that causes their devices to unexpectedly shut down, an issue that Apple now says it has successfully addressed in the latest iOS 10.2.1 update, released to the public on January 23. In a statement provided to TechCrunch, Apple says that the iOS 10.2.1 update has resulted in an 80 percent reduction of unexpected shutdowns on the iPhone 6s and a 70 percent reduction of unexpected shutdowns on the iPhone 6. With iOS 10.2.1, Apple made improvements to reduce occurrences of unexpected shutdowns that a small number of users were experiencing with their iPhone. iOS 10.2.1 already has over 50% of active iOS devices upgraded and the diagnostic data we've received from upgraders shows that for this small percentage of users experiencing the issue, we're seeing a more than 80% reduction in iPhone 6s and over 70% reduction on iPhone 6 of devices unexpectedly shutting down. We also added the ability for the phone to restart without needing to connect to power, if a user still encounters an unexpected shutdown. It is important to note that these unexpected shutdowns are not a safety issue, but we understand it can be an inconvenience and wanted to fix the issue as quickly as possible. If a customer has any issues with their device they can contact AppleCare. According to Apple, the shutdown issue that is solved by the iOS 10.2.1 update is separate from the problem that caused it to recall a select number of iPhone 6s devices. In that case, Apple said some batteries had been overexposed to "controlled ambient air" during the manufacturing process, resulting in the need for a physical battery replacement. That there are multiple issues causing iPhone shutdowns explains why many iPhone 6 users also complained of problems after the iPhone 6s recall, and why the iPhone 6s issue seemed more widespread than Apple suggested in the recall program. 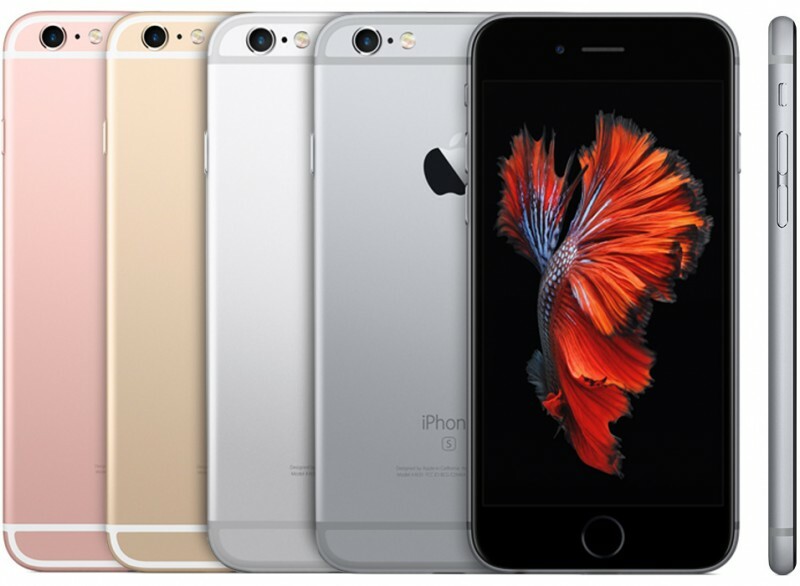 There were even rumors that Apple was planning an iPhone 6 battery exchange program, something Apple quickly refuted. The shutdowns solved by iOS 10.2.1 are reportedly caused by uneven power delivery from older batteries, which can trigger an emergency shutdown on an iPhone. Apple has tweaked its power management system to reduce shutdowns, but some users may occasionally still have problems, so Apple has also created a way to auto-restart without needing to connect to power. The auto-restart feature is available on the iPhone 6 and 6s in iOS 10.2.1 and will be added to the iPhone 6 Plus and 6s Plus in iOS 10.3. A new battery info screen will also be added to iOS 10.2.1 in the next few days, letting customers who need to replace their battery know that it's not functioning as expected. The warning, which will be in the Battery section of the Settings app, will only be displayed to customers who need new batteries. When iOS 10.2.1 was released, Apple did not include a mention of a fix for the iPhone 6 and 6s in its release notes, giving it time to quietly collect data on the shutdown issue before making an official announcement. Customers who are experiencing shutdowns on their iPhone 6 or 6s devices should upgrade to iOS 10.2.1 if they have not done so already. Update: Apple has posted a support document outlining the new battery notice that's available in the Settings app. It will only show up if a battery needs servicing. Sadly, you can expect more of these type of bugs as most of the test team was drafted to the EMOJI DESIGN TEAM. What a difference five years makes in the life of a company. I remember a time when stuff like this happening was an exception, not the norm at Apple but I guess whatever makes Timmy the most money at the expense of everything else. Now, when will they address the random restarts that happen on the iPhone 7 Plus almost on a daily basis? That's also annoying and inconvenient as hell. I want to go back to iOS 10.0 or 10.0x or something. My iphone 6 plus has become so laggy in last couple of months. Granted, it's a repair program and not a recall, which is kind of sketchy. Kind of sketchy? Really that's all? Ok let me get this straight, Apl soldiering without protection is scause of the IC chips coming loose inside as described in great detail by iFixit...a design flaw (because they eliminated the shield covering to save on cost a few cents) . they after months of refusing to admit they had a problem, finally after uproar they come up with pay $149 to have it fixed..and replace it with another flawed phone? That's far beyond sketchy , its consumer abuse. All 6/6+ have this design flaw. So Apl finally makes a bigger phone and reduces structural redundancy? Gee what great decisions Apl. Ridiculous. More ridiculous people still trust them. Using an auto restart is an ugly hack. This is why I only upgrade hardware, not software. Keep the software version that came on your phone and only upgrade when you upgrade your phone. b) what percentage of users (within an identifiable subgroup, eg, defined by production batches) are affected. Other considerations are naturally how much the issue affects the user or even could be dangerous. The last one can trump both conditions a) and b), see the Note 7 debacle, it certainly wasn't restricted to a subgroup and thus the actual percentage of affect users was pretty small and at least at the time of the recall no egregious error in the manufacturing process had been found but the danger when the issue occurred was pretty high. "Manufacturing variations"? I'm calling you out on your ********. DESIGN flaw. It was DESIGNED poorly. It was their DESIGN that causes this. It has been documented by experts EXACTLY what they changed and WHY it's a design flaw. but the bigger emojis and sticker packs were worth overall system lag and auto shut down on iOS 10. Looking forward to the mess that inevitably will be iOS 11.